In September and October, I’ll be teaching a four-sesson class on writing short stories in the beautiful Glen Rowan House on the campus of Lake Forest College (easily accessible from Chicago by Metra). Schedule and registration here. Music for Wartime has gotten raves in the Chicago Tribune, The Guardian, Vanity Fair, Shelf Awareness, and elsewhere. Click through to read them in their entirety, or see the highlights here. The Austin Chronicle has chosen The Hundred-Year House for its second #ACReads pick. The discussion will take place on Twitter on August 25, from 7-8pm CST. I’ll be joining the chat at 7:45 to answer questions from readers. You don’t need to be from Austin to participate! More info is here. Blink and you’ll miss it, but here it is! “As readers move through the suspenseful, amusing and slightly crazy story–written in reverse chronology–they’ll understand the many intricate moves each character has made, until the full story is unveiled in the prologue at the end. Similar to the way an M.C. Escher drawing seems simultaneously nonsensical and rational, Makkai’s novel will keep readers on edge until the last piece of the puzzle drops into place and the whole brilliant picture can be seen at once, sharp and clear.” Read the full review here. This is not the hundred-year house. But it’s pretty! The Borrower is now available in French and Italian! The Borrower is now out in both French and Italian! 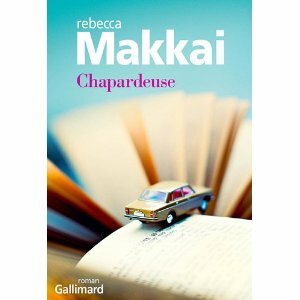 The French translation, Chapardeuse, has been released by Gallimard; the Italian, L’Angolo dei Lettori Ribelli (literally: The Rebel Readers’ Corner) is available from Piemme. More soon on my upcoming visit to France to promote Chapardeuse! “The November Story,” originally published last year in Crazyhorse, was featured on Public Radio International’s This American Life on August 26th. Click through here to hear me read the story (with funky radio music!) or to download the podcast of the whole episode. To read the entire (longer) story in print, including extended scenes about Markus the sculptor and his heart-shaped cage, order a back issue of the Fall, 2010 issue of Crazyhorse here. 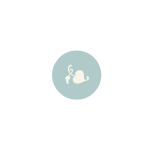 “The November Story” is part of my collection-in-progress, tentatively titled Music for Wartime. Okay, the ‘F’ part is debatable, as is the ‘A’ part, but these are definitely ‘Q’s. And I even answered them!